What an amazing experience for our students that had the privilege of being at the March for Our Lives 2018 in Washington, D.C.!! 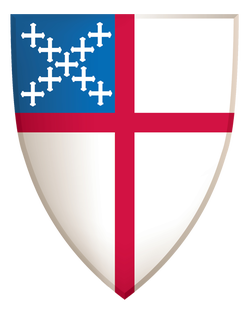 On the day of the March, we were hosted by St. Mark’s Episcopal Church on Capitol Hill - a place to store our luggage, and to warm up with lively conversation and refreshments. Before hitting the streets, our acolytes in the group got a quick workshop by the verger from the National Cathedral and member of St. Mark’s Episcopal Church. Daniel Yuen-Schat, Joshua Yuen-Schat, and Naomi Yuen-Schat. Our group of students were honored to meet up with Senator Brian Schatz and his family and staff. In addition to our matching hoodies and kukui nut lei, we wore fingerless gloves with the “Knowing Eye” knitted by parish members of St. Elizabeth’s and St. Clement’s. Truly, we were proud to carry our signs high with the motto based on a prayer we heard at the vigil: Hearts be brave! Hearts be bold! March 4 Aloha!! After the March, as we returned to St. Marks- the students sought out individuals to share the kukui lei. They had been instructed to wear the lei during the March and then share the lei after the March with other marchers. Volunteers registering people to vote, national guards, Capitol police, and volunteers at St. Mark’s were touched by the student’s aloha. What a perfect way to enter into Holy Week! Some of the students were able to stay a few extra days in Washington DC for sightseeing. After viewing the new Obama portraits at the National Portrait Gallery, one student asked if we could see the 1813 American flag at the Smithsonian American History Museum; she commented that she loved being able to see the things that she has only able to read about and the fact that our group of youths had become closer as a result of the March and time spent in Washington, D.C. The students are so thankful for this once in a lifetime opportunity and the outpouring of love and support they have received throughout the planning and the entire trip. They are already talking about their new-found responsibility to continue their fight to make a change. We’ve been discussing voter registration in Hawaii and ways to change the apathy in voter turnout in our state... and homelessness. One student asked why there isn’t a March for homelessness. I am so privileged and thankful, along with my fellow adult chaperones Kimberly Frank and Ajaon Siyami, to bear witness to so much love and hope. On Saturday, March 24 I joined over 800,000 people who gathered on Pennsylvania Avenue in Washington DC to rally for gun control after the Marjory Stoneman Douglas shooting in Parkland, Florida on February 14. Not only did we listen to musical offerings by noted celebrities like Miley Cyrus and Jennifer Hudson, but we also listened to moving speeches by the students who were there on that tragic day as well as a stirring call to action by the nine year old granddaughter of Martin Luther King Junior. The night before the march, the Washington National Cathedral held a prayer vigil for the families and victims of the February 14 shooting. The Episcopalian mother and father of one of the victims, their 14-year-old daughter, stood in front of the congregation and gave testimony to the effect of the murder of their daughter on their lives as well as paying tribute to their daughter’s love of life. I was joined in the streets of our nation’s capital by a number of people from the Episcopal Diocese of Hawaii who traveled to Washington to lend their hearts, feet, and voices to this very important cause. We marched not to make a political statement, but to take a moral stand against violence and as a prayer for peace. Being in the midst of hundreds of thousands of like-minded people is something I had never experienced before. It was amazing, euphoric, and very cold (the weather, that is!) My friend and I decided to go to Washington, D.C. as soon as the march was announced on the Sunday after the shootings at Parkland, Florida. What I found unique and irresistible about this particular march was that teenagers were taking matters into their own hands and doing something adults had failed to do: inject some common sense into the discussion about guns and gun control and demand action from those who run our country. One of my most vivid impressions of the March was that all the speakers in the three hour long program were young people whose lives had in some way been touched by gun violence. Every single one. In spite of receiving large monetary donations from celebrities, the youth retained control of the program. They realized that the fact they were white and well off gave them a podium that other young victims of gun violence did not have, and they invited survivors from other tragedies to also tell their story. This included those in the Black Lives Matter movement and those from other school shootings, including Sandy Hook Elementary School. The other thing that greatly moved me was the closing song performed by Jennifer Hudson. Bob Dylan wrote “The Times They Are a-Changin” in 1963, in the midst of the Civil Rights Movement and before the most intense Vietnam War protests. It was a perfect song to end the March because I believe that with our young people speaking up and taking a stand against gun violence, we are on the brink of real change for our nation, change for the better.